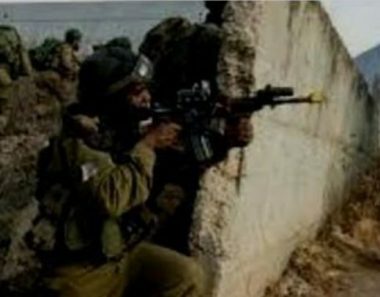 Israeli soldiers conducted, Friday, military training in ‘Atouf village, south of Tubas governorate in the northeastern part of the occupied West Bank. The Local Council in ‘Atouf said the soldiers installed a roadblock in front of the Council’s building, and occupied the rooftop of one home, after invading it. It added that the soldiers then started training on invasions, searches, and surrounding buildings while simulating arrests; many Palestinians, especially the children, suffered anxiety attacks. The army usually conducts live-fire training near the village, as well as many Palestinian villages and Bedouin communities, especially in the Jordan Valley of the occupied West Bank. In several incidents, many Palestinians, including children, were injured and even killed, when explosives dropped by the soldiers during training went off near them.